Obviously not writing! A few months ago as my hubby and I were visiting the Chattanooga WorkSpace for Open Studio Night, it struck me that I really wanted to have a studio there. I had already been teaching my fermentation classes there for a few months, so I applied and got in! I’m actually sharing a studio with another gal. She’s rarely there (she’s a photographer), so I have the space to myself to do my textile art. Years ago I had done a good bit of fabric dyeing and have gotten back into it with a vengeance. One of the things I want to try soon is dyeing with prickly pear. The Navajo have used prickly pear for centuries to dye their fabric. Now you may wonder why I’m going on about this on my fermentation blog, but prickly pear dye is fermented! I’ve never eaten prickly pear, but I’ll certainly be looking for them in the grocery store now. When I do this experiment I’ll certainly take photos and post them. I also completed the Hamilton County Master Gardener course. I’ve been doing organic gardening for four years now, but I learned so much! I’ve completed over half of my volunteer hours required to become a certified Master Gardener. Still over 20 to go! Despite everything else going on, I’ve continued to teach my fermentation classes and have even added a couple to my repertoire. In March I taught a class called “Kombucha & More.” The “More” was jun and water kefir. It went really well and I’m looking forward to doing that one again in the fall. In June I will be teaching a blackberry wine class. I’ll actually be teaching it in July, as well. My old friend, Kim Hines from Augusta Locally Grown, reached out to me and asked me to come back to Augusta and teach. Then I’ll be racing back the Chattanooga to teach a Bratwurst & Sauerkraut class at the Sweet & Savory Classroom. It will be my first time partnering with this organization, so keep your fingers crossed for me! Then I’ll be teaching a class on Hard Root Beer and Hard Ginger Beer. Then in August I thing I’ll do Veggie Fermentation once again so folks will be ready for their harvest. So see, I’ve been busy! I’ve neglected my blogging too long, though. I’ll be getting back in the swing of blogging again, so keep your eyes peeled for new posts. Also, if you are into textiles check out my other website. 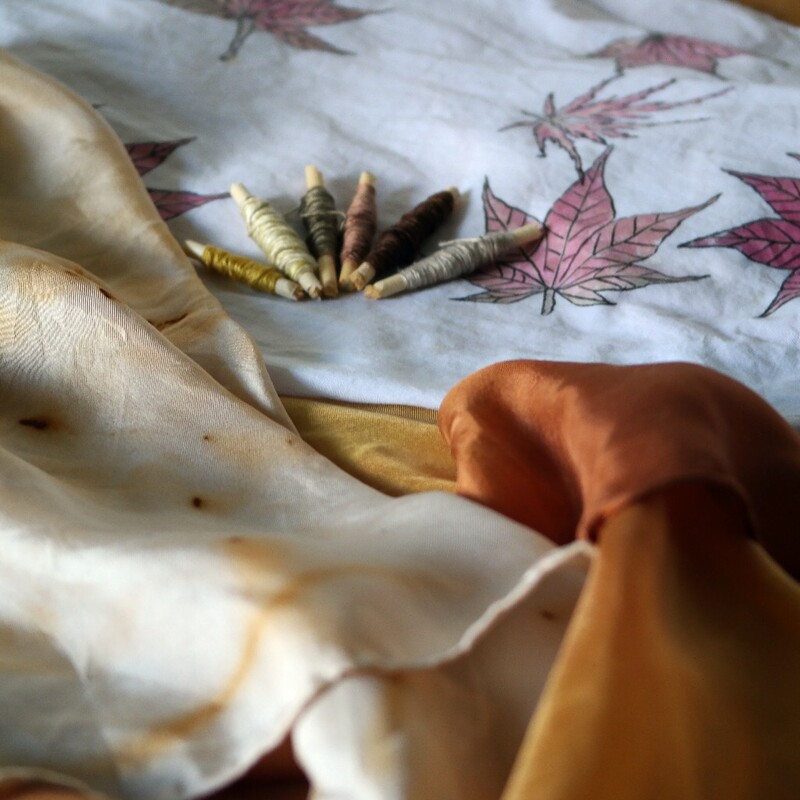 I’ll be teaching various textile classes in the weeks to come.